Edinburgh: Edinburgh University Press, 2010. This book aptly begins by telling us that it is not about Sean Connery and a skim through the contents makes it clear that neither is it about Braveheart (USA 1995). This is important for Scottish film culture that all too often feels that its limited production output is further limited by popular discussion of the latter. When Martin-Jones states that “this is a book about filmmaking in Scotland, rather than Scottish cinema,” (1) he suggests the book will also bypass the tricky ontological debates concerning the parameters of national cinemas. Instead, he is able to show the way various agents – filmmakers, production companies, audiences, tourist boards, scholars – give a Scottish identity to films such as Carla’s Song (UK/Spain/Germany 1996), Pyaar Ishq aur Mohabbat (India 1998), Loch Ness (UK/USA1996), Dog Soldiers (UK/Luxembourg 2002) and Young Adam (UK/France 2003). His focus on co-productions expands the national cinema field and their inclusion highlights the high significance of globalization in film production without excluding the equally important local factor. There is a sense throughout that what exists as contemporary Scottish screen culture cannot be essentialised to limited national boundaries or identity configurations. Martin-Jones also manages to situate many of the films within a British trend that does not deny their equally significant Scottishness. 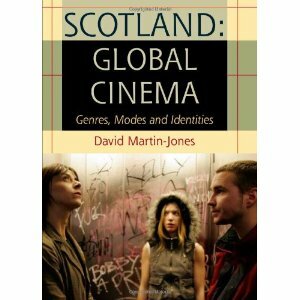 In his introduction, and during subsequent chapters, Martin-Jones highlights and engages with past literature on Scottish cinema. In particular he acknowledges the limited work done in this field and situates his own work as an attempt to broaden our understanding of the complex configurations at work in recent Scottish (or Scottish based) films. This allows him a platform to build ten chapters that not only deal with lesser-known films but also identify less-studied film types such as the Scottish road movie and the Scottish monster movie. The chapters are: 1. Comedy: Global/Local Identities; 2. Road Movie: Scotland in the World; 3. Bollywood: Non-resident Indian Scotland; 4. (Loch Ness) Monster Movie: A Return to Primal Scotland; 5. Horror Film: History Hydes in the Highlands; 6. Costume Drama: From Men in Kilts to Developing Diasporas; 7. Gangster Film: Glasgow’s Transnational Identity; 8. Social Realist Melodrama: Middle-class Minorities and Floundering Fathers; 9. Female Friendship/US Indie: Women Talking; 10. Art Cinema: The Global Limits of Cinematic Scotland. Perhaps one of the most significant aspects of the ten part structure is the way in which it makes clear the breadth and diversity of Scottish films on the one hand, and their ability to use popular types as dexterously as their American counterparts on the other hand. Although it is sometimes disappointing that some themes are not treated in greater depth nor developed beyond their individual chapter, a global/local framework is advanced throughout as an umbrella strategy for understanding the various films. Other strands are introduced such as autoethnography, whereby films are made for a foreign or tourist audience yet play upon the representation that is being given to the outsider viewer. There are also discussions, such as those concerned with the use of Bollywood film in Scotland, that highlight transnational and diasporic circuits in a way which helps move away from the conception of a mono-cultural, white Scotland. Martin-Jones makes an interesting distinction between films that are set in Scotland and those that treat Scotland as a film set (139). The distinction helps negotiate the sense of unease that is often involuntarily felt when a national setting seems to be used in a tokenistic manner and is a concept that could be applied to a number of global situations. Throughout the book, there is a good mix of empirical evidence (finance figures, co-production breakdowns, tourist board campaigns, etc) and textual analysis of the key films. In particular, Martin-Jones is able to pay attention to the minutiae of mise-en-scene: the distinctive footbridge from a Glasgow park (80); a mosque in the background of a Scottish city (185); golf-clubs that point to a very Scottish pastime (209). The text is easy to read and follow and the systematic introductions to each chapter make it easy to discern the type of material and films which will be covered in each section.